I have read nearly every decent book you can get on U-boats and submarine warfare during WWI and WWII. This new book is one of the better books that offers you a more complete understanding of their historical background and role. Most people know about the U-boats and the terrible campaign they waged against Merchant shipping during both World Wars but who knows about the very early submarines, their sometimes unfortunate crews and their inventors.This was a great story and I was unsure if I would find the history behind the submarine as interesting as its role in naval warfare but I did. The author tells a great story that never gets boring and keeps you reading page after page with interesting bits of information and first hand accounts of those involved. I found this book easy to read and it was a joy to lay back and read a few pages each night. Bag of meh. Author was a bit arrogant in that he seemed to delight in correcting other authors. Discussion was not balanced. Too much information going all the way back to the middle ages, it seemed like. More emphasis should have been placed on the Cold War. Not much social discussion. Military discussion was ok as with political. An ok read on sub history, but there are better ones out there. 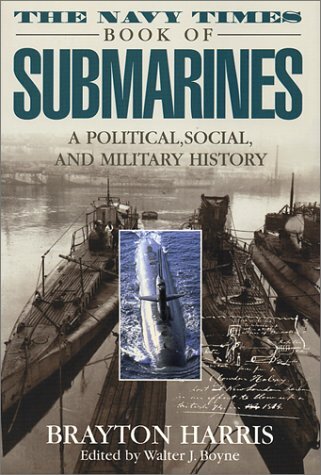 A nice historical overview about submarines till about the mid 90's. A nice clean book about an interesting subject. The writing isn't great or anything -- it is just an overview/summary, but it seems like a good one (although I'm no expert). 7/10A good overview, particularly up through WW1. However I would have liked to see more technical detail.